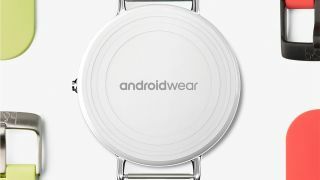 Google may be working on two Nexus-branded Android Wear smartwatches, putting the company in direct competition with hardware partners like Motorola and Samsung. The word on the watches comes from an anonymous "reliable" Android Police source. Code named Angelfish and Swordfish, these watches will be Google's benchmark devices for its wearables platform, and will feature round displays without the infamous "flat tire" at the bottom. One is reportedly larger and includes LTE, GPS and a heart rate monitor, while the smaller of the two will do without mobile data and GPS. The source revealed Google's plans, and even detailed what the watches will look like. The bigger, feature-packed watch - a.k.a. Angelfish - will allegedly sport a 43.5mm-wide case and measure 14mm thick. That's a big watch, but still slightly smaller than the 46mm Moto 360 (2015) and LG Watch Urbane. The watch will apparently house a large "crown" button to the right and smaller buttons to the top and bottom for unspecified features. Having two extra buttons could be useful for pulling up contacts or a specific app quickly. The other watch, codenamed Swordfish, will allegedly look a lot like the Pebble Time Round, but without the huge bezel. Its dimensions are quite smaller, coming in at 42mm wide and just 10.6mm thick, which makes it thinner than the current Moto 360. It's not as ridiculously thin as the Pebble Time Round (7.5mm), but that's expected from a smartwatch with a non-E ink screen. One watch will look a lot like the Pebble Time Round. Android Police also notes that the shape of the case "is more gentle and rounded than the Pebble's." Swordfish will allegedly only have one button on the side and will lack LTE and GPS. It'll be interesting to see if either of these watches will have the Qualcomm's upcoming Snapdragon Wear 2100 processor, which is built specifically for wearables to help increase battery life. What really makes these upcoming smartwatches noteworthy, however, is the inclusion of Google Assistant, a personalized artificial intelligence that will help users accomplish tasks and more. Google showed off its upcoming AI during its Google IO 2016 conference in May, and revealed it will be baked into the search giant's Amazon Echo competitor, Google Home. Google Assistant features a powerful natural language engine that can understand complex commands and context. For example, you can ask Google Assistant to order movie tickets and follow up with, "I want to bring the kids this time" to book tickets for the entire family. In addition to Google Assistant, the Nexus-branded watches will run Android Wear 2.0, which brings more powerful watch faces, better iOS support and powerful messaging. It's unclear exactly what these new smartwatches can do with Google Assistant, but Android Police speculates that the watches may get exclusive features not available on other Android Wear watches. While the source of the Nexus watch leaks is reliable, we still recommend taking these rumors with a grain of salt as the wearables will likely undergo hardware and software changes before launch. There's no info about price, release date or even how far into development these watches are, but don't expect to see them before the new Nexus phones.